Travel down the world famous Route 66 with ‘Mad’ Madeleine Mayflower, as she takes a much needed vacation from motorcycle racing. 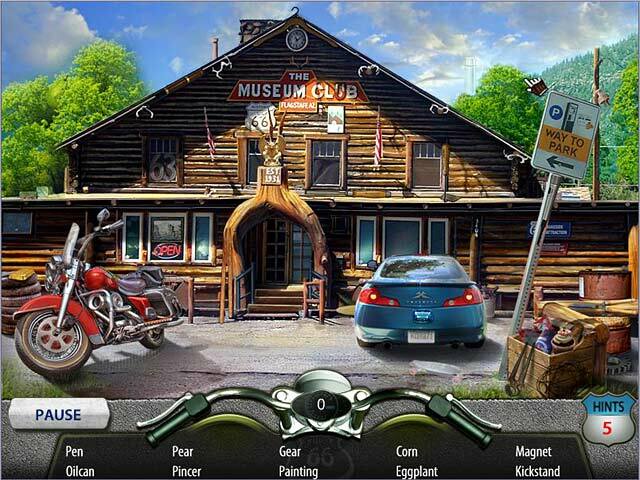 Explore hilarious and well-known tourist attractions as you travel all over the country in this Hidden Object game! Start off in California and find funny knickknacks as you make your way across Route 66 and through the very heart of America! Enjoy quirky minigames and have a great trip! Route 66 is rated 2.6 out of 5 by 10. Rated 5 out of 5 by AliB17 from This game is definately worth buying I thought it very interesting and there is a lot to learn throughout the game about Route 66. I had a lot of fun playing it. The HOS are not difficult in any way and the games are fun. I wish they would have more games like this. I like these games because they are relaxing and you don't have to keep going back and forth trying to solve anything. Its fun! Rated 5 out of 5 by BellevueBob from I REMEMBER WHEN . . . . . Oh yeah !! What a way to relive the past ! !My first trip on 66 WAS in '66 !! I was blown away by the accuracy of this BFG game.!!! If YOU want to "take a night off"and "do some traveling" , here it is !! Route 66 STILL exists !! Right here in this game !! ENJOY !! Rated 4 out of 5 by Olynomad from Simple and fun I liked this game. I finished Rangy Lil's Wild West Adventure and liked it, so I looked up other games by the same people and found this one. I liked the simplicity of this one and the focus on finding hidden objects. There was not a storyline to go with it, simply a screen of information about the town you were entering, then a hidden object scene and then mini puzzles where you could earn more hints. The mini games cycled through three different games and I enjoyed them. This simple style of game is a nice break from the ones with the detailed storylines. When you just want to zone a little and not do heavy mental work. Rated 3 out of 5 by ntexas99 from Easy-Peasey and Laid Back This game has some historical information scattered throughout, or you can skip ahead and just go straight to the hidden object games. 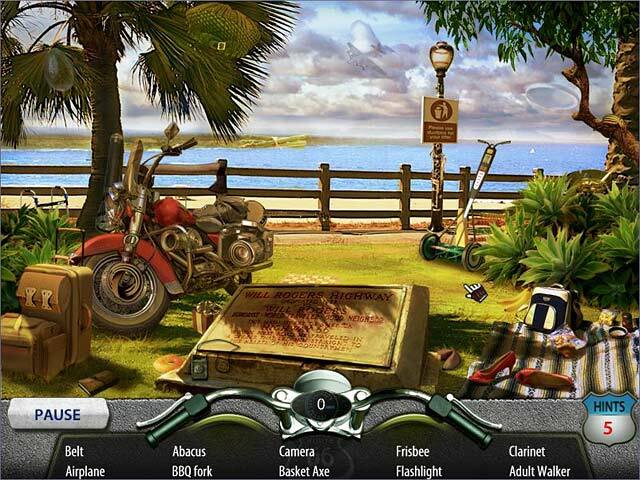 Each HO game has 10 hidden objects in each scene, with 6 free hints always available, but you won't need them, and you can earn more hints by playing the mini-games. Objects are relatively easy to find, but there are a few typos such as "brain plug" should be "drain plug" but the game is so easy, it didn't really bother me much. I would have liked the HO games to be a little bit more challenging, but overall, this is a very chilled out version of a hidden object game, with no strategy story to slow you down. Personally, I turned the music and sound effects all the way up, since the music is very chilled out and the sound effects are non-obtrusive. 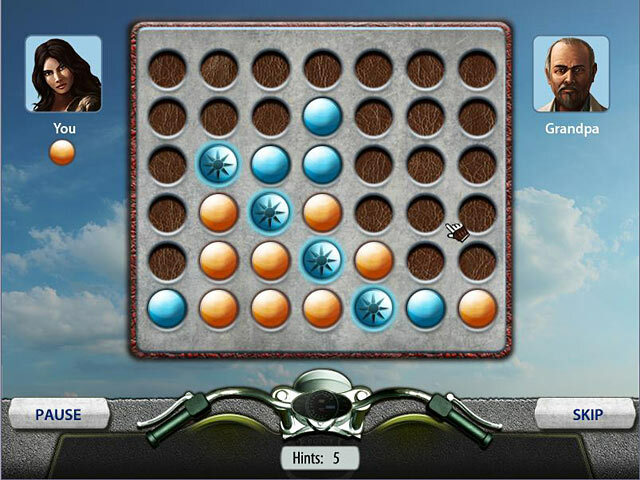 One of the three rotating mini-games is a Four-In-A-Row game, one is a Pick-The-Two-That-Match game, and one is a Remember-The-Sequence game. Personally, I like the Four-In-A-Row game and enjoy playing against the computer. It's a nice break in-between the HO games. I made it through 2/3 of the game on the 60 minute trial, but will go ahead and purchase, at a bargain price of 70% off, because the chilled out vibe and easy listening music will make this one a good choice for those need-to-unwind times. Would probably not pay full price for this one, but as a bargain game, and one that I will probably play repeatedly, it is a good choice. A pleasant and easy game. Rated 2 out of 5 by BirdLover89 from Boring Limited hints. Penalty for clicking too often, too fast. Games to earn hints are the same old thing over and over and boring. What are you supposed to do when you run out of hints and can't find HOs? I uninstalled the demo. Glad I didn't buy this game. Rated 2 out of 5 by Nilliejo67 from This game is a JOKE! No challenge and boring to play wish I had never purchased! Rated 1 out of 5 by Laflamme from Ridiculously short game about one of the world's most famous routes Unlike other forum reviewers, who finished the entire game in as low as 40 minutes, I only got to Oklahoma during the hour, but I had trouble finding some objects, played the minigames (all repetitive three of them!) and read the facts. I love those HOGs where you learn facts about places. However, a screen before the level with a wall of text? What I would have liked is a little video about the place, or show me photos, and read those texts for me! If the game showed more effort on presentation, and gave me more interesting places in the mentioned cities to find instead of run-of-the-mill boring ones I would have bought it. This way? Pass. BTW: Since when is a fire extinguisher a "cylinder"? Rated 1 out of 5 by kat10 from Geography/ History Lesson-NOT Adventure! Short, w/ NO adventure. It should not be listed under the adventure category. There is no character interaction or anything to make it an adventure game. Other than being introduced to the main character at the beginning that was it. Each stop on the trip starts with a written history/ geography lesson which may take more time to read than finding the hidden objects. The hidden object scene has 10 items and then one of 3 repeating mini games, which were more irritating than challenging- I ended up skipping them after a while. The mini games may earn you a hint (but only if you have less than maximum allowed of 6) so why bother?. I only used hints to find obscure items I've never hear of such as in the 2nd to last scene- "Brain Plug". What the heck is that? I clicked the hint button and think the object was actually a drain plug. The graphics were decent and a couple of the objects are cleverly hidden, but these don't make up for lack of overall challenge and low quality filler mini games. I can't comment on the sound quality as I played with the speakers off. Maybe it has some redeeming qualities. Save yourself the 60-90 minutes it takes to play the game and read the history lesson online. 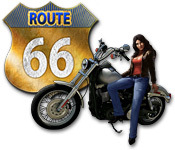 Travel down the world famous Route 66 with Madeleine Mayflower, as she takes a much needed vacation from motorcycle racing!